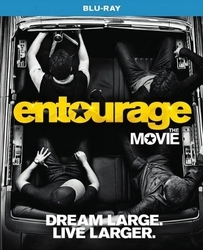 Alright I am going to be upfront I am a big fan of Entourage when it was on HBO. I have watched it a few times since it left the airwaves and when I heard that a movie had finally gotten green-lighted I was excited. So if I can of fanboy it up some it is cause I am a huge fan. I will say right up front this movie does not disappoint. One of the things I was worried about was that with so much time passing since the end of the series to finally getting this movie done that the group chemistry wouldn�t be there anymore, or that the writing would be lacking, or a million other things would make this movie not live up to my expectations. But I am very happy to say that is not the case, it surpassed all my expectations. 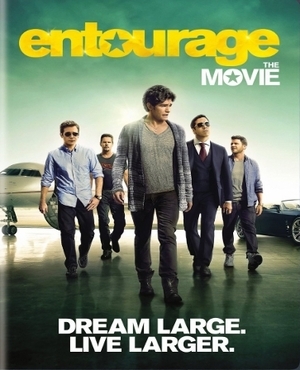 The movie is of course set 12 days later Vincent Chase (Adrian Grenier) is a movie superstar having starred in 15 movies but now he wants to do more than act he wants to direct and with his old agent Ari Gold (Jeremy Piven) heading up an agency it seems like a match made in heaven or is it?Just like the television show maybe a little bit more since it is a big movie we get bombarded by cameos. Some are just back ground cameos and some are for lack of a better term skits. And don�t get me wrong a lot of them have funny moments and had me laughing. But some might say that it distracted them from the movie and I really didn�t get that watching the movie.E�s (Kevin Connolly) storyline is of course dealing with him and how he is in relationships. E hasn�t changed he still likes to be in an emotional relationship than the one night stands or flings the rest of the boys enjoy.